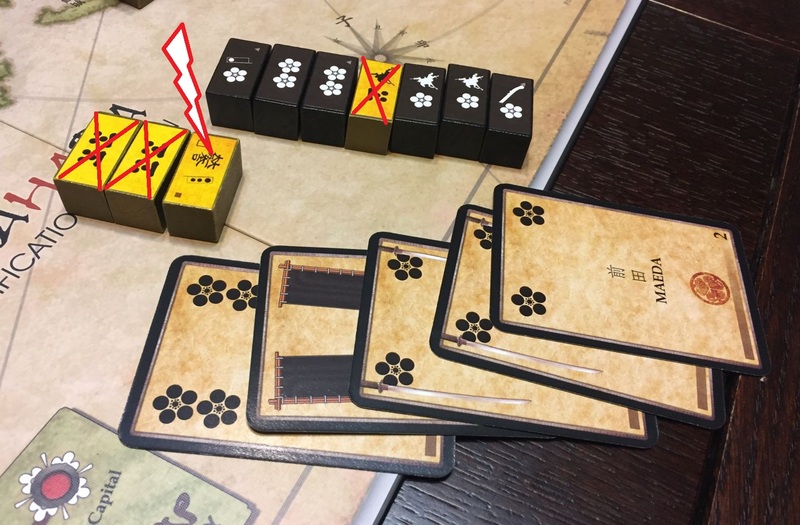 [ENG] Sekigahara – very interesting second full game! 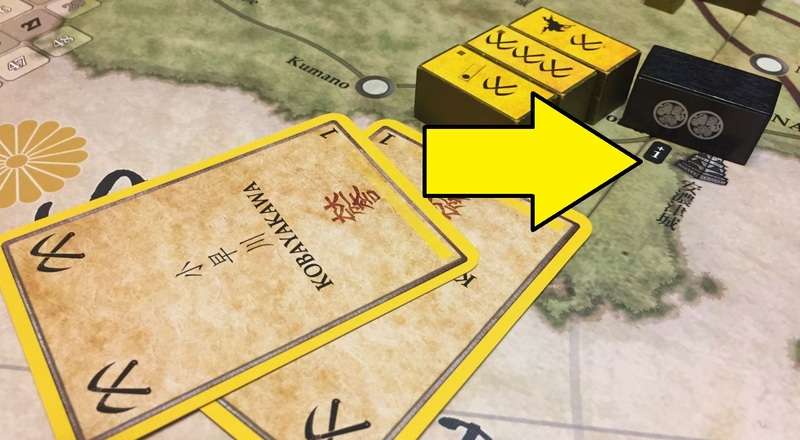 Marcin get off aggressively, attacking home city of Fukishima clan and winning the battle. Despite my reinforcements, I was forced to fee to Okazaki castle. 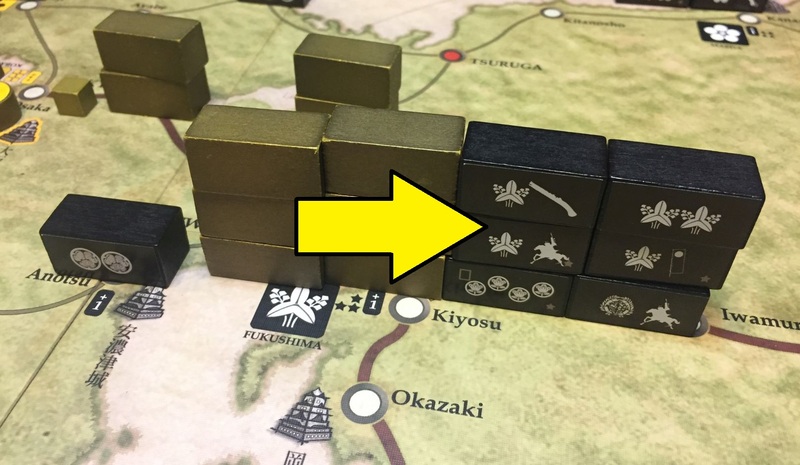 In the meantime, far away from main action, near Aizu castle, a skirmish ensued which did not finished in a decisive victory for neither of sides – still it was kind of a prelude to what will come. …in order to try a decisive battle. Above another great engagement near Aizu castle. That was a great engagement, both forces were fully utilized and activated. 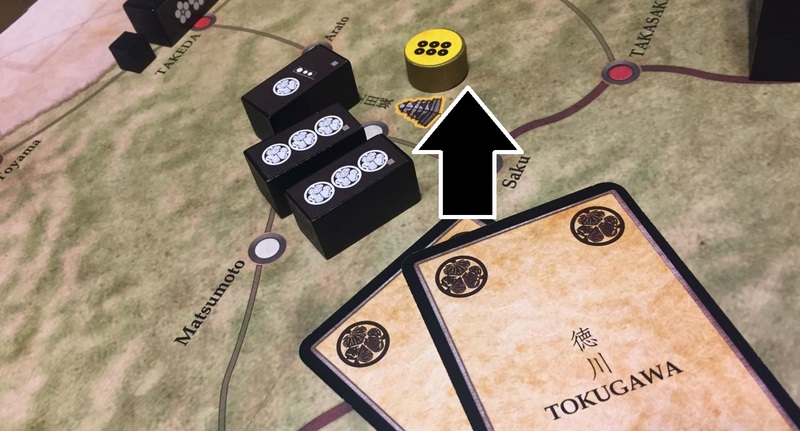 However, my combinations were more powerful and despite the losses, Tokugawa managed to achieve a major breakthrough in that area. 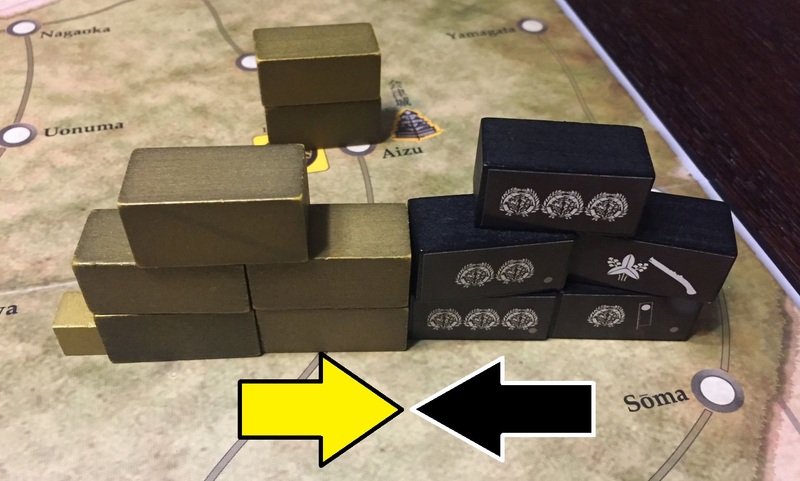 After turn six we had board clearly separated with 5 castles in Marcin’s hands and 4 in mine. (Unfortunately, Miyazu also has fallen to Marcin 😦 ). 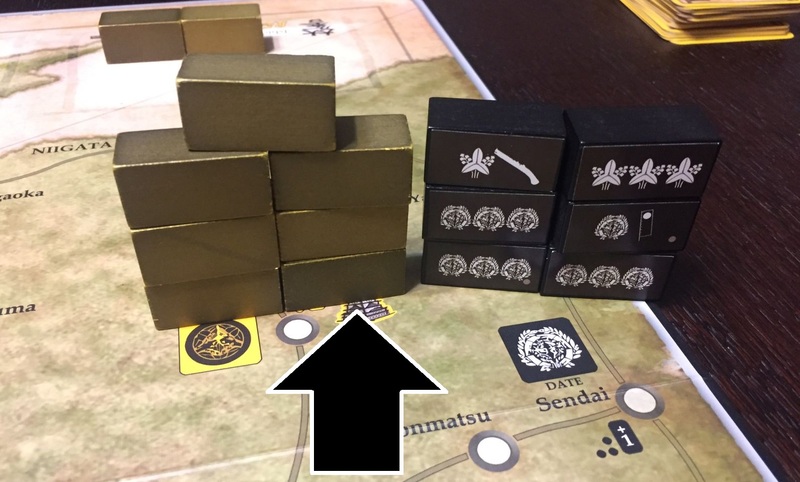 If game finishes like this I will lose, so time to activate that northern clan – Maeda. 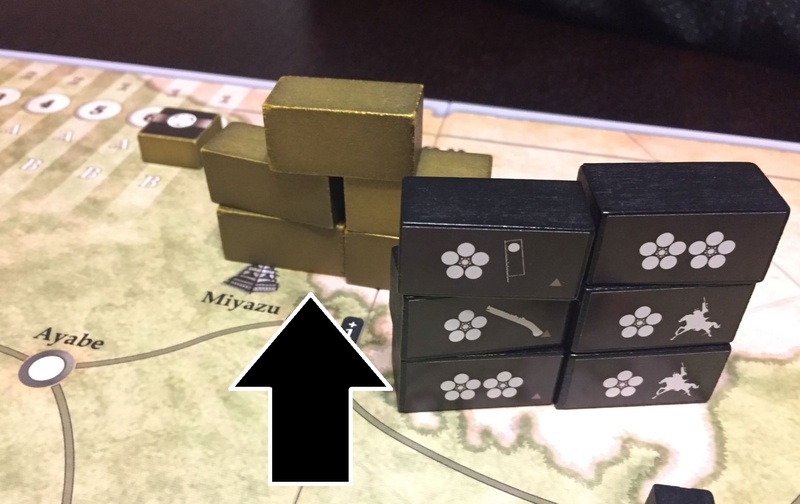 Ok, so I am doing “all-in” attack on Miyazu. Again bloody battle, again treachery card being a pivotal play and… Ishida again killed during the battle! What a surprise for both of us! 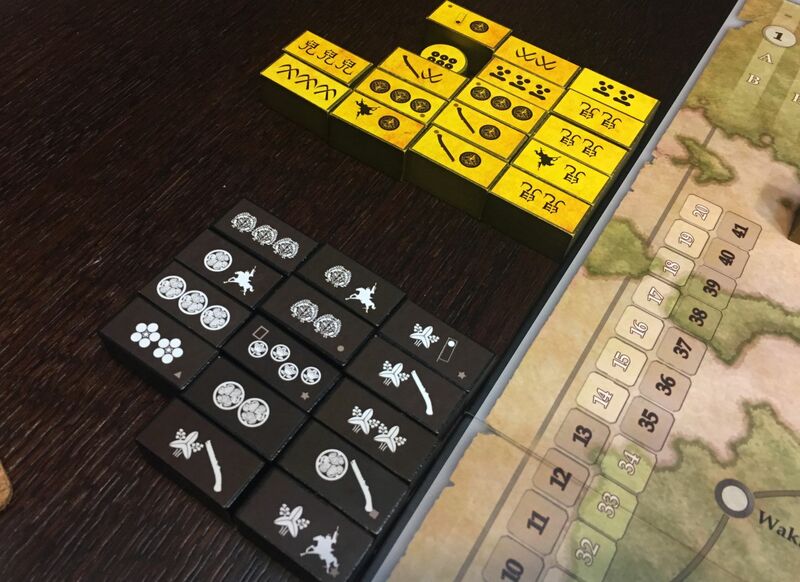 Last look at the board; very tense and balanced session which – somehow fortunately – finished in my victory. 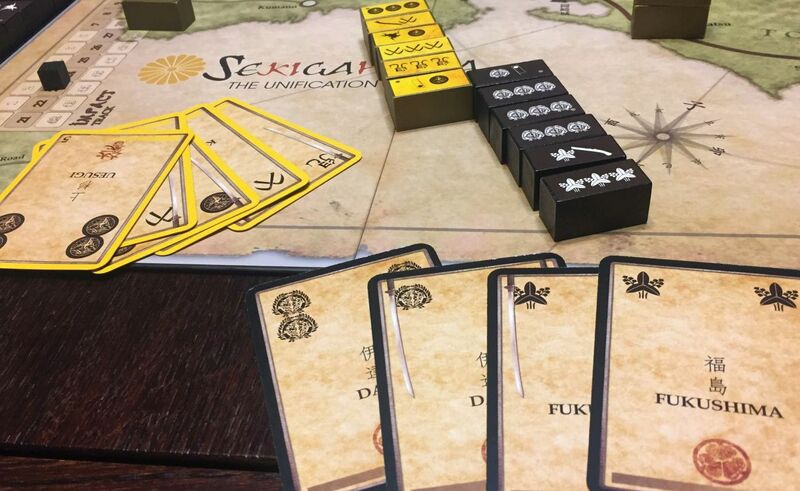 Great game, great experience and new ideas how to play – already in our minds!